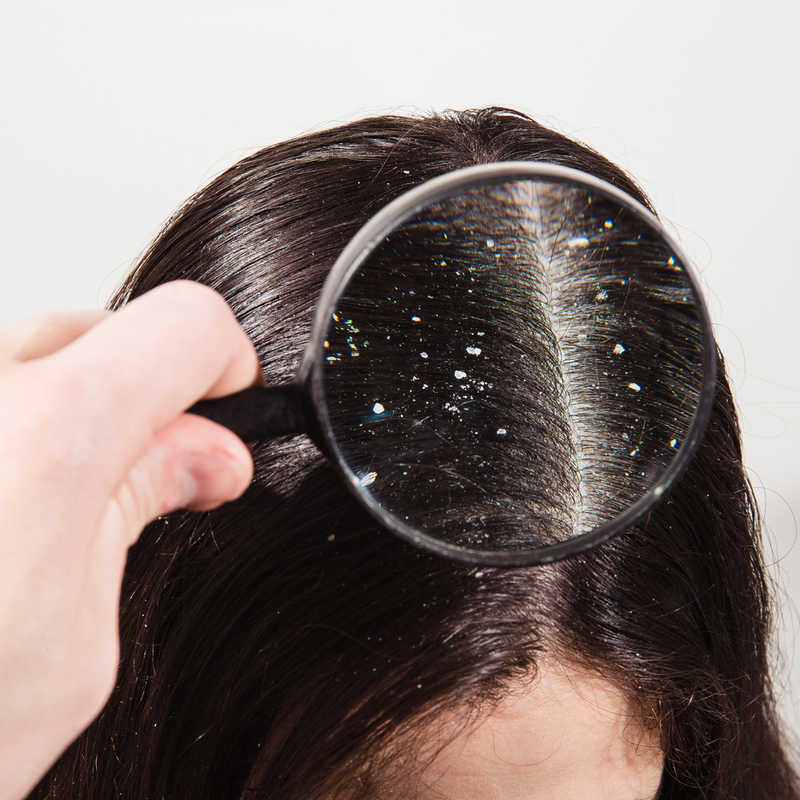 Dandruff is a common skin disorder resulting in shedding of dead skin cells from the scalp, which often causes itching. It typically looks like dry, flaky skin, and sometimes has areas of pink or red inflammation. It can be very frustrating and embarrassing, but effective treatment is available. Dandruff left untreated may also affect your ears, eyebrows, eyelids, beard and less commonly the central (often hair-bearing) part of the chest. Yes, it can affect anybody at any age. It is not usually contagious, but fungus can make this condition worse, so we suggest not sharing combs or hair brushes. Although Dandruff can appear despite the best hygiene, excessive sweating and infrequent washing of the hair can exacerbate the condition.